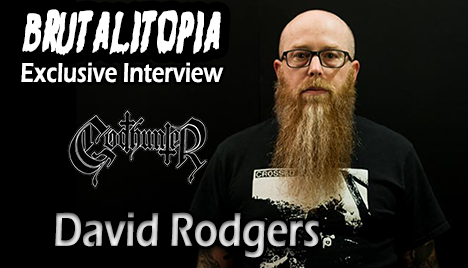 Two weeks ago, I had the pleasure of sitting down via Skype with David Rodgers of Godhunter and Battleground Records to chat about the band's upcoming Codex Narco, out this Friday. Our conversation touched on the band's different process in writing and recording this album, cover songs, and the merits of releasing music online. It's one of my all-time favorite interviews that I've done, and I really hope you enjoy it! And don't forget to check out Codex Narco, which is a pretty fantastic album!